14-year-old schoolgirl Libby Shepherd smashed her original target of raising £2300 by shaving her head in memory of her Grandad. Libby, who was inspired to go for the chop after seeing Jessie J do the same for Comic Relief, had her head shaved at her school, Mount Carmel in Accrington, cheered on by pupils who paid to watch the big moment. 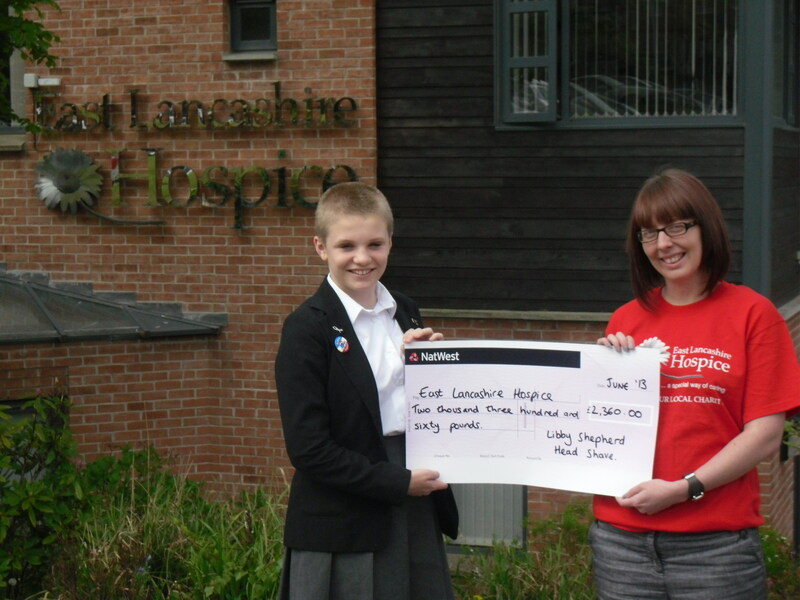 She came to the hospice to show off her new hairstyle which she likes and to present us with a cheque for a huge £2360. Well done Libby and thank you to everyone who supported her!